Of the total spend €240bn will go towards long term investments and €75bn to SMEs/mid-cap companies. The EFSI will be under the umbrella of the EIB but will have different goals and do a different type of lending. In conjunction with the EFSI the Commission will create a “project pipeline” along with technical assistance to help identify viable projects for investment at EU level. The investment plan will also contain a road map to remove sector specific regulations that hamper investment, with a focus on the financial sector to tie in with the push towards a Capital Markets Union. As an opening salvo, the plan has already been watered down from what many had expected it to be – a real attempt at fiscal stimulus. Whether or not you agree with that prospect, it’s clear this plan does not constitute such an attempt. As it now enters the negotiation phase with approval from the member states and European parliament needed it could still be restricted and fudged further. This process seems very similar to previous attempts to create such a fund in 2012 (discussed by us here) and the failed attempt to leverage the European Financial Stability Facility from 2011 (which fell down on the reluctance of the ECB to be involved and the level of public guarantees were not sufficient and too highly correlated with potential risks). History suggests pinning significant hopes on these sorts of plans is not usually a good approach. It’s not clear that this buffer will be enough to encourage private investors to take on greater risk. There are numerous factors which are leading to a lack of private investment, risk (at these levels) is only part of it. Furthermore, to the point above, reports now suggest that the €21bn will actually be used by the EIB to borrow €63bn in bonds and cash which will then be used as a first loss buffer for the private investors – however, this does not seem to be mentioned in the press release, factsheets or Q&A. Additionally, we’re not sure what rating these bonds issued solely as loss protection would get or who would want to invest in them (seems akin to the lower riskier mezzanine tranches of asset backed securities). The promise to review the regulatory issues and create a central system of projects could actually prove to be more important than the funds themselves. That said, we have often heard the first point and the Commission has never followed through. The latter project has potential but the focus will be around “EU value added” and “EU objectives”. We’re not sure why the EU thinks it has a better idea of the returns and benefits on private investment than the market more broadly. Furthermore, these objectives already cloud what should be a simple idea – promote economic growth. More generally, questions can be asked about how these funds will be targeted. The focus seems heavily on pan-European infrastructure. While there are sectors where this could be useful – energy and high-tech – such a rigid focus is not needed for a general fund. Many parts of Europe (notably Spain) loaded up on infrastructure in the boom years; they do not really need more of it. What is really needed across Europe is investment in human capital, (re)training and R&D. All this once again highlights the huge amount of waste inside the EU budget, which could of course fill some of these roles. It also raises questions about whether the EIB should rethink its investment priorities. Overall, the response from all sides has been very lukewarm. The plan seems very similar to previous iterations and, for better or worse, does not involve new money. Negotiations are likely to further impact the structure, while questions can be raised about the target and agenda included in the fund. The accompanying proposals for a project pipeline and improving regulation could be useful and tie in with plans for a single market in capital. That said, the EU’s track record on these fronts is not good and will likely take some time for any real impact to be seen. **Correction: A previous version of this blog post said €294bn would be raised from private finance. However, the aim will actually be to use the €21bn as a guarantee on issuing €315bn worth of bonds on the market, meaning the entire €315bn will be private financing. Deputy Prime Minister Nick Clegg has today said he wants EU migrants to be blocked from accessing the new Universal Credit – which includes income-based jobseeker’s allowance, employment and support allowance, income support, child tax credit, working tax credit and housing benefit – until they have worked in Britain for six months: the benefit would then only be payable for a maximum of six months. This echoes Open Europe’s proposal that EU migrants should only have access to these benefits after a certain residence period, but that the principle of free movement should stand. 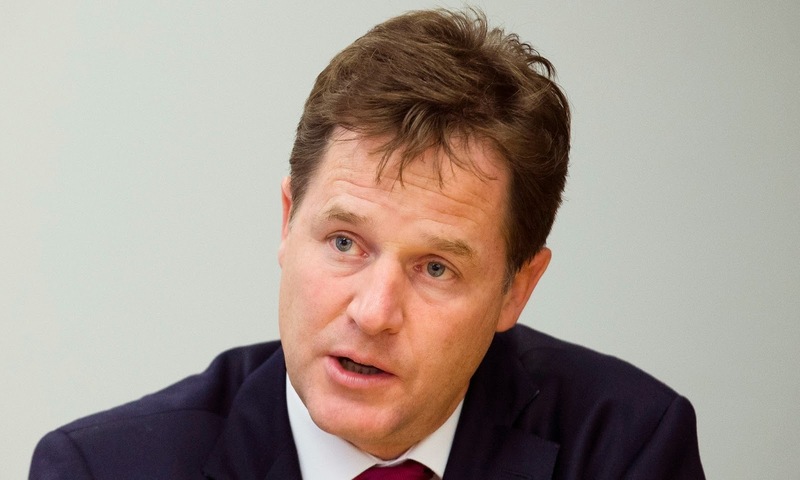 Mr Clegg has also suggested that he wants to permanently restrict the access of migrants to in-work benefits like tax credits, saying they should only be paid to people working the equivalent of a 35-hour week on the minimum wage: a threshold of £227 instead of the current £153. As we streamline our welfare system by combining a range of benefits in a single Universal Credit, we should make sure that only migrants who have worked and contributed can receive the support. New jobseekers should not be eligible. Applying the same principle – that support should be reserved for migrants who are paying something into the pot – we should look at increasing the earnings threshold for in-work benefits such as tax credits. EU migrants could, for example, be required to work the equivalent of full-time hours on the minimum wage in order to qualify. 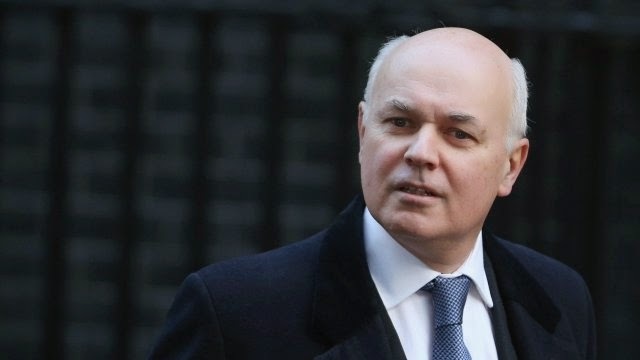 Meanwhile, Iain Duncan Smith has told MPs that EU jobseekers will not be able to claim Universal Credit and that access to in-work benefits "will be negotiated" within the EU. There are two interesting things about this. First, following OE's first pamphlet on this a month ago, there now appears to be cross-party consensus on the need to re-write the rules around in-work benefits - minus Ken "party like its 1992" Clarke, of course. 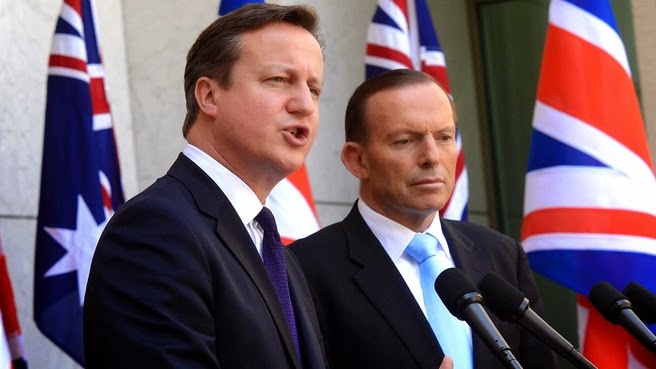 Secondly, this is a blessing and a curse for Cameron. The former because it boosts the chances of getting stuff done in Europe. The latter, because he does need to differentiate himself somehow from the others and he needs to announce something "new"in his forthcoming speech. Former Cabinet Minister Owen Paterson has just made a hard hitting speech on the UK’s relationship with the EU. He made a familiar case that the EU is as much a political union as an economic one. He concluded that the UK should remain in the ‘economic’ Single Market but remove itself from the political union. A clear position? Well, staying in the Single Market, while removing the political aspects of the EU can mean different things – it could mean remaining in the EU while pairing back the worst aspects of the EU’s state building or leaving altogether and negotiating instead a trade agreement in order to retain access to the Single Market. Times reports it is "reform"
An interesting choice, that excludes the possibility of better EU terms or even continuing as a non-Euro state. 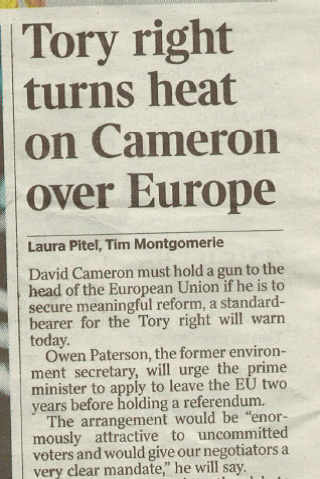 However, it is clear that Paterson’s negotiation is not a ‘re-negotiation’ but a simple negotiation for #Brexit. He favours joining Iceland, Switzerland, Lichtenstein and Norway in EFTA and joining EFTA’s deal with the EU – known as the EEA (of which Switzerland is not part). And in order to conclude his exit terms and EEA membership he seeks to use a provision of the Lisbon Treaty that allows a two year period after notifying the EU of an intention to exit to attempt to finalise continuity terms – Article 50. We're sceptical of the EEA model as an alternative for the UK outside the EU, at least as currently set out, but let's leave that one to the side for the moment. It has been argued previously that Article 50 could be used to trigger a full renegotiation of the terms of the UK’s membership within the EU. However Paterson’s proposal is more straightforward – he wants to immediately start to negotiate Brexit terms in 2015 so that a clear proposition is on the table for the 2017 referendum. That may have the benefit of providing the clarity that has so far been lacking in the ‘out’ case – but has three obvious drawbacks. What happens if the other EU states do not wish to negotiate prior to a referendum outcome – they cannot be forced to. What happens if the UK votes to stay in – would the other EU member states be compelled to cancel the exit application? Perhaps but at what price? Article 50 isn't a great negotiating tool. 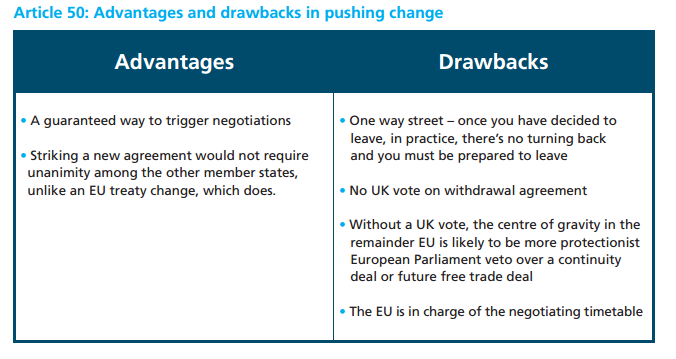 We have previously weighed up the pros and cons of using Article 50 below, but what's clear is that it's giving away a lot leverage over the UK's terms of exit (for example, the final deal will be decided by a qualified majority vote of which the UK won't be part). Paterson may however argue that Article 50 is a legal mechanism and something as important as the UK’s membership will ultimately be decided politically, in the UK and the EU level. Open Europe this morning published in full the already much cited report on how Cameron can win on EU migration without sacrificing free movement – trailed on the front page of Sunday Times yesterday and featured on BBC News at Ten and the Today Programme, amongst others. 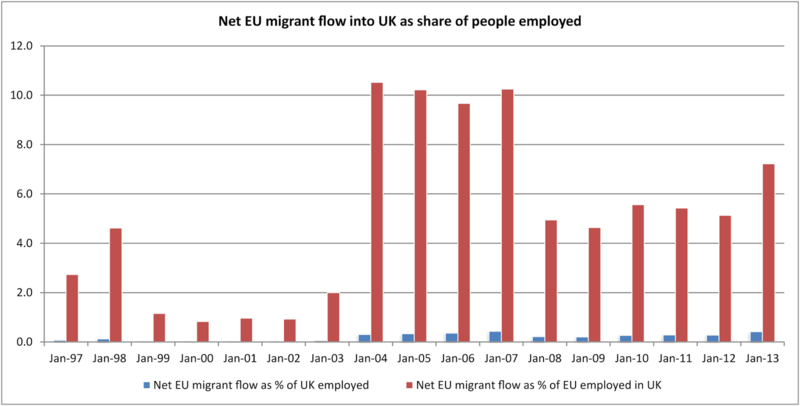 The basic idea is that instead of putting an outright cap on the number of EU migrants who can come here, David Cameron should look elsewhere: Let free movement and its benefits stand, but bring back control over who can access in-work benefits in the UK, restricting EU migrants’ access to tax credits and social housing for an initial period. It would reduce pressures on both UK wages and local services. At present tax credits provide a big boost to low income wages – sometimes doubling a workers wage. Under OE’s proposal, in some cases, without access to in-work benefits EU migrants’ take home pay would therefore drop below that which they would receive in their home states, meaning that the move would no longer make financial sense. It would also redefine EU free movement to mean the movement of “workers” – not access to benefits – as originally intended. We have a lot of figures to back up our argument that tax credits contribute to the income pull factor to come to the UK – and an annex which elaborates at length about into the Spanish, Bulgarian and Polish income tax, insurance and welfare systems (all done in-house, mind you, Cyrillic alphabet and everything). A few quick points: First, we clearly note the trade-off: free movement is a net benefit to the UK economy and this would be a way to save it. On Today this morning, John Humphreys tried to frame the debate as us against Ken Clarke, “being on opposite ends of the debate”. The opposite end of the debate would be those who want to end free movement. Our proposal is a pragmatic one which aims to strike the right balance between an open economy and democratic control. Secondly, Clarke’s substantive point of criticism was that the proposals would be “totally discriminatory”. 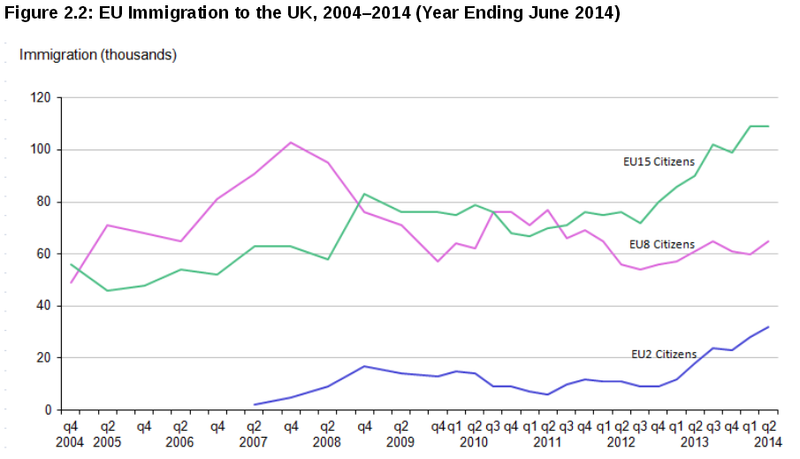 Why should an EU migrant working in the UK get less, in benefits and tax credits, than a UK worker doing the same job? 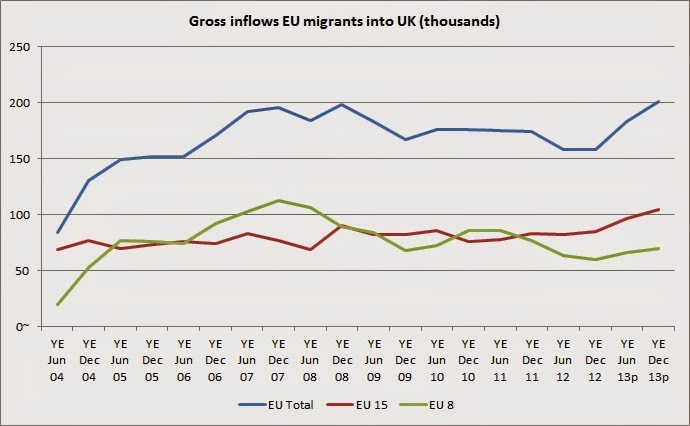 As we argued on Today, the UK’s system is much less contribution-based than most other EU countries. The UK can choose to either move to a full contribution-based system, or change EU rules to better accommodate for 28 different social and welfare systems. The UK’s tax credits are effectively social policy – not tax policy. There is no direct link between how much tax you pay and how much you get back in tax credits. They were designed to help UK workers back into work – it is not discrimination to say that these benefits, designed to help make work pay for UK workers, should not be open to the entire EU workforce from the outset. 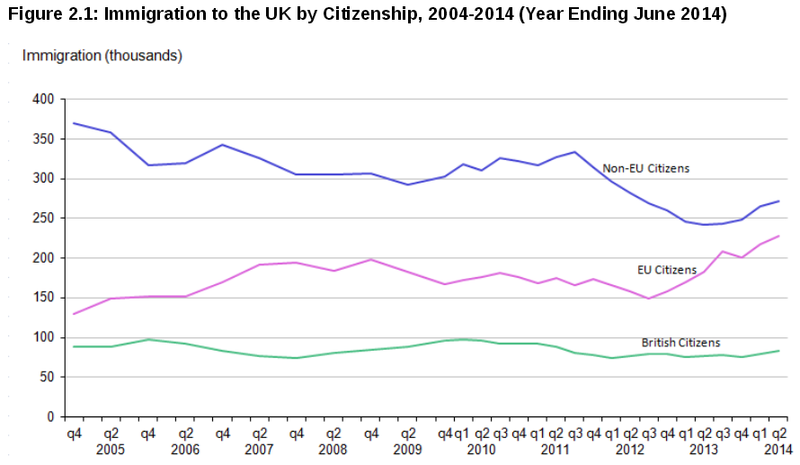 Free movement was never meant to be mutual and unrestricted to other countries’ full social policies. If our proposal is discriminatory, taking the argument to its logical conclusion, should we extend tax credits to migrants from outside the EU as well from day one? 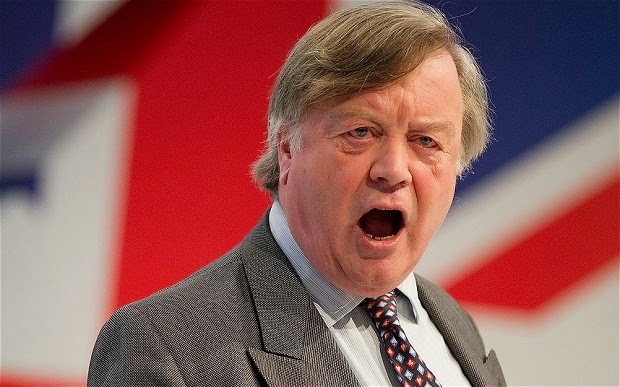 We look forward to hearing Ken Clarke or others making that particular argument. This is a fair proposal to try and square the principle of free movement with differing social welfare systems across the EU, and the fact that the UK’s system is far more open than other systems - this proposal will help to reinstate some trust in free movement. Responding to our report on Today, the Polish ambassador to the UK, Witold Sobkow said that the report has a “sound analytical basis” but argued that migrants don’t make a sophisticated spreadsheet analysis of income differentials before moving to the UK. 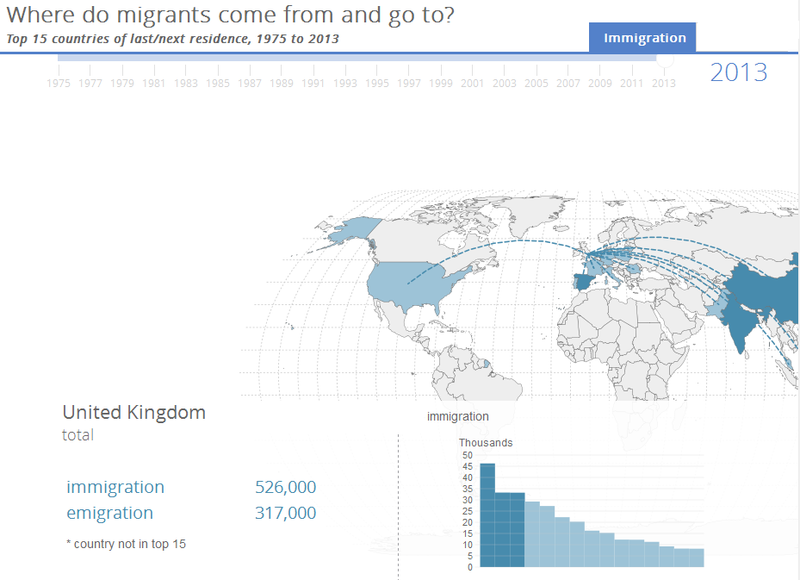 That may or may not be the case but they will consider in broad terms how much better off they – and in many cases their families – will be by moving to the UK as migration is not a decision most people make lightly. It stands to reason that state support will be part of that equation even if the exact level of things like housing benefit is very hard to pin down before moving. As our analysis shows, under our proposals, it would no longer make financial sense for someone to move from the average Polish wage to earn the UK minimum wage due to the withdrawal of the right to immediate in-work benefits – it stands to reason that this will impact on potential migrants’ decisions. But without, of course, taking away the basic right to come here to work. It’s a bad start to what looks as if it could be a very challenging day for the UK government with UKIP looking likely to win the by-election in Rochester and Strood. The legal basis of the legislation cannot be challenged since remuneration in this sector “impacts directly on the risk profile of financial institutions”, since these operate freely across the EU this can have impacts on markets across the EU. Jaaskinen “accepts that the determination of the level of pay is unquestionably a matter for the Member States”, but since the law is just a stipulation of the ratio and not a direct cap on pay, there is still flexibility to set pay levels. The delegation of power to the European Banking Authority (EBA) is “valid” since it is “merely empowered to elaborate non-binding draft measures” – i.e. create technical standards. There has been sufficient notice of the legislation to allow firms time to adjust to the new rules. A fairly comprehensive rejection, but there are a few points which we believe have been overlooked or under discussed, laid out below. One of the UK’s main arguments is that this law will result in higher fixed pay which makes remuneration less flexible and raises fixed costs for banks, thereby undermining any attempt to improve financial stability. This issue is not addressed at all in the opinion. Furthermore, while the opinion addresses the issues of remuneration impacting risk and the fact that fixed pay can still vary it does not look at how the two can interact. It is clear that as a result of this fixed pay will increase substantially but there is no question of how this impacts stability. This may be more an economic/financial point but given the issues are discussed separately their interaction should also be examined. The ruling could also have interesting implications for EU jurisdiction when it comes to the rate of pay. Variable pay is very loosely defined. For example, standard overtime paid at double the hourly rate could theoretically fall under EU jurisdiction by the definition used here. This highlights the importance of this ruling as a step into an area which the EU has previously largely steered clear of and the potential precedence it creates. This could develop in many unknown ways in the future. There is no mention of the UK’s claim that this violates international law or is extraterritorial since it applies to all employees of EU banks no matter where they are based. We noted this may not be entirely a legal issue for the ECJ but it deserves some attention. Related to this, it remains unclear whether third countries firms operating in the EU will be forced to institute similar caps if there are to be deemed ‘equivalent’ under rules coming in under MiFID II in 2016. One of the weakest points seems to be on the powers transferred to the EBA. Control over technical standards, particularly here, should not be dismissed lightly. The regulation deals in very broad strokes and leaves significant interpretation for the technical rules – including the exact level of the cap and who it will apply to. This power is being borne out right now with the EBA passing judgement on the way in which the rules are being implemented and whether ‘allowances’ count as variable pay. The EBA retains significant power to judge how the rules are being implemented and adjust the technical standards if it think the spirit of the rule is not being followed. In general, the combination of the ECJ and EBA seem overly focused on the UK (accepted the UK has been pushing the issue as well). But looking at the legislation which Germany has passed on this issue, there are serious questions over how it has implemented the rules. Germany has exempted anyone covered by collective bargaining from all the remuneration requirements of CRD IV, including the bonus cap. This is because collective bargaining is a constitutional right in Germany and cannot be overridden. While it’s not clear how many people this applies to, the principle is concerning and it is a significant exemption. Why this does not merit examination while the use of allowances as a de facto exemption does is not clear. The full ECJ ruling will come early next year and is likely to be in line with the opinion – although the ECJ did previously ignore Jääskinen’s opinion on short selling where to leant towards siding with the UK. The EBA will publish updated guidelines and technical standards in the new year which will incorporate its concerns about allowances. At this point the UK will likely find itself squeezed by both the EBA and ECJ and could face punishment if it is not seen to be implementing the rules properly. The UK could of course refuse, but given the high profile nature of the issue it could escalate the situation. One option for the UK would be to point to other infringements such as the German example above. In terms of the bigger picture, though not a huge issue on its own, this will be another ruling which plays into the hands of those who wish to see the UK exit the EU. 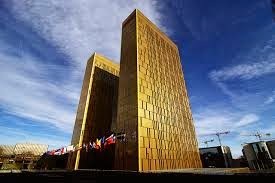 It also continues to add to concerns over the role of the ECJ and its ability to be an impartial arbiter, particularly on financial services – an aspect which will likely be crucial if the UK is to remain an EU member both in the short and long term. The Guilder - was it close to making a comeback? "The team met regularly on Friday afternoons, but could also be present very quickly in case we needed to make a decision"
“Heads of government, including the Dutch cabinet, always said: ‘We want to keep the euro together and to keep the euro as a single currency.’ That said, we also looked at what would happen if that didn't succeed”. This of course is in line with what we've heard before. 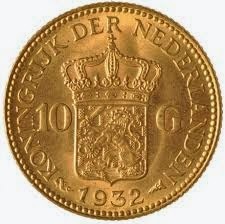 The Dutch Central Bank has already admitted it made some contingency plans for a euro exit in 2012, while De Volkskrant has revealed that, in June 2012, Prime Minister Mark Rutte threatened the possibility of the Netherlands exiting the euro. Nevertheless, the detail and the format of the planning highlights just how seriously this was taken. 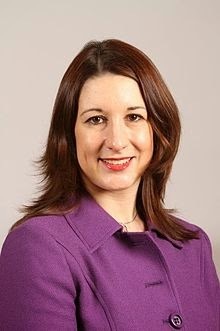 Iain Duncan Smith's opposite number, Labour's Rachel Reeves, has written an interesting piece on EU migrants' access to welfare for the Mail Online, in which signals an important shift in Labour's policy. 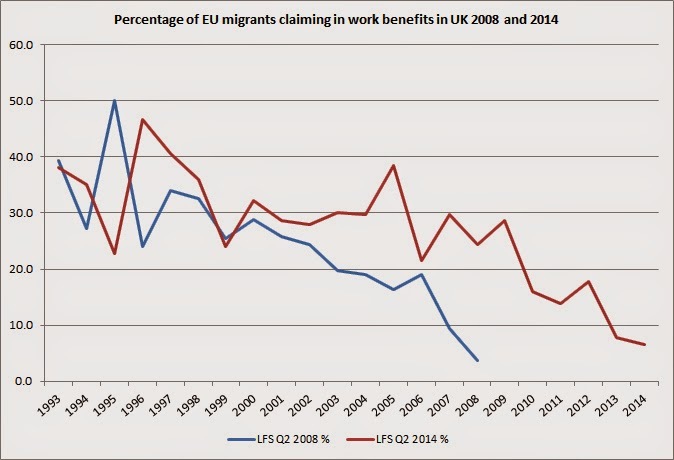 Last week we noted that IDS had set out that he wanted to restrict EU migrants' access not simply to out-of-work benefits but also in-work benefits such as tax credits - something that our Research Director Stephen Booth and LSE Professor Damian Chalmers proposed in a recent Open Europe pamphlet. "We believe that it is right to extend the period that EU jobseekers need to live and support themselves in the UK before claiming out-of-work benefits from three months to two years." "We must also look at the role of in-work benefits. It is far too easy for employers in Britain to undercut wages and working conditions by recruiting temporary workers from elsewhere in Europe on very low pay and with no job security, knowing that the benefit system will top up their income." "So while some have said that we cannot negotiate changes to benefits paid to people in work, I am determined to look at how we can deliver reform in this area too." As we have noted before, restricting access to this low-wage welfare supplement could reduce the incentive to migrate to the UK for the lowest paid jobs as the UK's system of in-work benefits can make a significant difference to the incomes of the lowest paid. "We will work with European countries to end the absurdity of child benefit and child tax credits being claimed for children living in other countries." This is near unanimous consensus among all the main parties on this point. The change in stance on in-work benefits is significant and would have the biggest impact, and it is therefore interesting why this wasn't given top billing in the article? As the Ukrainian ceasefire falters what next on sanctions? Over the past few days we have seen the situation in Ukraine begin to escalate once again. Both NATO and the Organisation of Security and Co-operation in Europe (OSCE) have said that they have witnessed significant military movements in Eastern Ukraine, most likely from Russian troops. By almost all accounts the ceasefire only continues to exist on paper (although we have pointed out before why both sides might be willing to continue to pretend it is more than that). Why has the situation suddenly escalated? In all honesty, it’s not entirely clear how significantly the situation has escalated on the ground in Ukraine, given that there have been continuous reports of fighting since the ceasefire was struck. It could be more a case of attention shifting back to Ukraine ahead of the G20 and EU meetings. That said, Russia continues to push the boundaries with military exercises. Furthermore, the elections (both in Ukraine and the separatist regions) have increased tensions, while Russia is reportedly keen to help further establish the newly elected separatist leaders. As might be expected, these reports have once again triggered the discussion on whether the US and EU should increase sanctions on Russia. As we reported in our press summary today, numerous leaders have come out warning of the potential increase in sanctions – surprisingly this also includes representatives of Hungary and Slovakia, though both countries remain a bit divided on sanctions. While there is lots of talk of further sanctions we would not get ahead of ourselves. Crucially, German Chancellor Angela Merkel has already played down the chance of this in the near future as we reported in our press summary earlier in the week. EU officials have also suggested any agreement is unlikely at Monday’s meeting of EU foreign ministers, although a discussion will be had at the meeting of EU leaders in mid-December. What could be on the table if sanctions are escalated? We’ve discussed many times before the options for sanctions but below are a reminder of the potential options if they wanted to take the next step up from the current sanctions. Expanding list of individuals subject to asset freezes and travel bans: This is a virtual certainty and should be agreed at Monday’s meeting. Specifically the newly elected officials for the pro-Russian separatists will be targeted. More broadly, those involved with the elections in the region could be targeted. It’s not yet clear if there will be a broader discussion about adding further people or oligarchs close to Russian President Vladimir Putin to the list (we have pointed out the potential legal concerns on these sorts of sanctions here). Ban purchases of new Russian sovereign debt – this was reportedly toyed with before but considered too harsh a step. As we noted before, this would probably be manageable for Russia given its fairly low government debt level but it would add another difficulty at a time when the economy and state budget is coming under severe pressure. Broaden scope of technological sanctions – this would involve expanding the list of banned tech exports to Russia, currently very focused on oil exploration. It could also include expanding the ban of services which European firms can provide to Russia, which again is currently focused on oil exploration. Extend financial sanctions – similar to the above, this would involve broadening the existing financial sanctions from just state owned firms to Russian firms more generally, most likely still only in specific sectors such as financial and defence. This would be legally difficult since the ties to the state would become even more indirect and justification would need to be watertight. Broaden scope of financial sanctions – related to the above, rather than expanding the number or type of firms subject to the sanctions, the EU could broaden the scope of the sanctions. This could, for example, mean cutting off all euro funding from certain state owned firms, no matter what the maturity or the type of loan (there are probably a few incremental steps or variations between this and where we are now). Remove Russia from the SWIFT system – This remains very unlikely and for some very practical reasons. SWIFT is independent and private. Removing Russian financial firms from this system would mean having heavy direct sanctions on them which forces SWIFT (in acts of compliance) to shut them off from the system. This is one of the key reasons it has never really been discussed at the top level as a realistic option so far. For his part Putin continues to demand a removal of sanctions but if they were ramped up it is likely he would be willing to retaliate with his own sanctions, some of which we looked at here. In terms of the broader picture it’s clear that sanctions, combined with the falling oil price, are hurting the Russian economy. However, they do not yet look to have impacted Putin’s approach or course of action. As we warned before, the lack of a clear goal or strategy for the sanctions as well as in terms of what Europe actually wants in terms of a future relationship with Ukraine and Russia could well hamper the approach. The EU would do well to discuss this, not least because the continuing downward spiral of the Ukrainian economy will likely (as we warned some months ago) lead to further bailout requests. The Telegraph has an interesting transcript of an Iain Duncan Smith interview with LBC Radio, which outlines the Government's current thinking on EU migration and which might signal the types of reforms that David Cameron is weighing up before delivering his promised speech on immigration in the aftermath of the Rochester and Strood by-election. "This is about people who want to enter a country and have no prospects of work and are not intending to work, so that is stopping and shutting the door to them as we have done." "The next problem is people who come to work, and then can claim full tax credits even though they have made no contribution. And that is the point I am making... countries shouldn’t have to do that. They shouldn’t have to support people who are coming over here, who have made no contribution." This is very much along the lines of what our Research Director Stephen Booth and Professor Damian Chalmers proposed in their pamphlet on EU migration and national welfare systems - a re-write of EU legislation to enable national governments to restrict access to non-contributory benefits for up to three years. "And the third area which you talked about…is that the issue around freedom of movement isn’t that you don’t want to stop freedom of movement, but what you want to be able to say is: ‘sometimes there are limits that communities can absorb people and the pressure on public services and housing and stuff like that’." "European rules need to take recognition of the pressure that puts on local communities, and that’s really part of the negotiation." This last point is perhaps the most interesting as it suggests that the option of some form of 'emergency brake' on EU migration is still under consideration. As we have said before, there are many ways in which such a mechanism could operate, and it might just be negotiable, although this would be a much taller ask than reforming the rules around access to welfare.